With a wide range of programs designed to address its varied congregation, Pennsville Baptist Church has two Sunday services plus a Wednesday evening Ladies Bible study program. 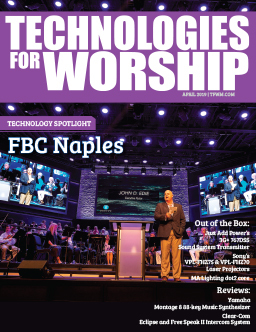 In order to ensure its message is delivered clearly to all who attend the various services, the church recently elected to upgrade its sound reinforcement capabilities. After reviewing their choices, the decision was made to implement all-in-one compact line array technology drawn from the catalog of Greensboro, NC-based WorxAudio® Technologies, a division of PreSonus® Audio Electronics, Inc.
Good Sounds of New Stanton, PA, an AV integration firm specializing in the design and installation of sound, video, and lighting systems for commercial spaces, schools, and houses of worship, was contracted to design and deploy Pennsville Baptist Church’s new sound system. Upon learning the requirements of the project, the decision was made to install WorxAudio’s X5i-P compact, powered line array system. Dwight Brown, Good Sounds’ owner and principal system designer, discussed the project and his decision to deploy WorxAudio loudspeaker equipment. The WorxAudio X5i-P incorporates five modules in a single enclosure for a total of five one-inch-exit, compression high-frequency drivers and ten eight-inch cone transducers for low-frequency reproduction. This ultra-compact line array features an ultra-wide 160-degree horizontal by 40-degree vertical coverage pattern. 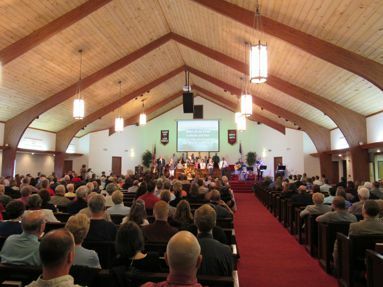 According to Brown, Pennsville Baptist Church’s services are still fairly traditional in nature. 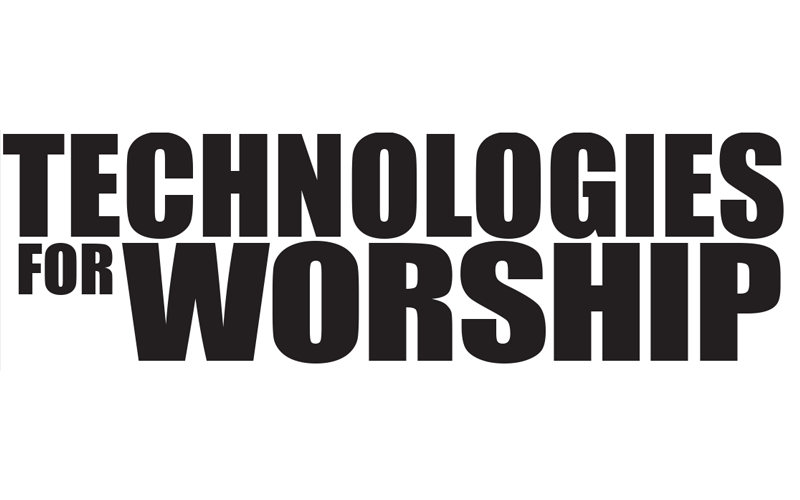 A praise team has developed over the past few years to become a more integral part of the Sunday morning service and the band can number anywhere from 5 to 10 members or more. The praise and worship part of this service frequently includes various soloists plus the church choir. As a result, solid music reproduction characteristics were considered essential. Similarly, a high level of speech intelligibility was required to ensure the congregation could clearly hear what was being said. For more information about Pennsville Baptist Church, visit their website at www.pennsvillebaptist.com. 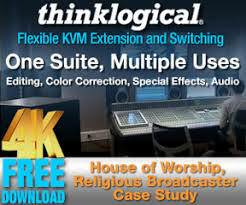 To learn more about the services of Good Sounds, visit the company online at www.goodsounddesign.com.